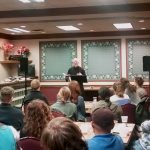 On March 21, one of Franciscan University of Steubenville’s philosophy professors gave an inspiring lecture on “The Sleep of the Virtuous” at Theology on Tap, drawing unexpected crowds and encouraging students to develop virtuous sleep habits. Over 40 students and local alumni listened as Brandon Dahm, who holds a doctorate in philosophy, identified and explicated how sleep affects a virtuous life and vice versa. He first gave a brief introduction to the health aspect of sleep before addressing the topic of how to approach sleep virtuously. Dahm argued that virtuous sleep is “a species of temperance” because “sleep has to do with bodily pleasure.” Understanding the tenets of temperance, however, requires understanding the requirements of bodily and mental health. Thus, the temperate amount of sleep is a healthy amount of sleep, and the virtuous person should regulate his or her life in accord with this need. Dahm also discussed how many different virtues can apply to the proper regulation of sleep, incorporating, for example, the intellectual virtues, prudence, justice and faith, and he emphasized the role of good sleep in the formation of a virtuous life. Dahm ended the lecture with a question for the attendees, saying, “I have a request: I’ve been calling it sleep-temperance the whole time. That’s lame. … So, if you can think of a great name for the virtue related to sleep, I’d be very happy to hear it.” He is currently accepting submissions at bdahm@franciscan.edu. 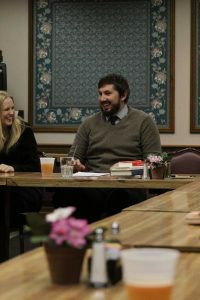 Though a successful presentation typically leaves attendees envigored, this Theology on Tap had ironic results: having attended a compelling and interesting talk, the audience left inspired to take a good nap. 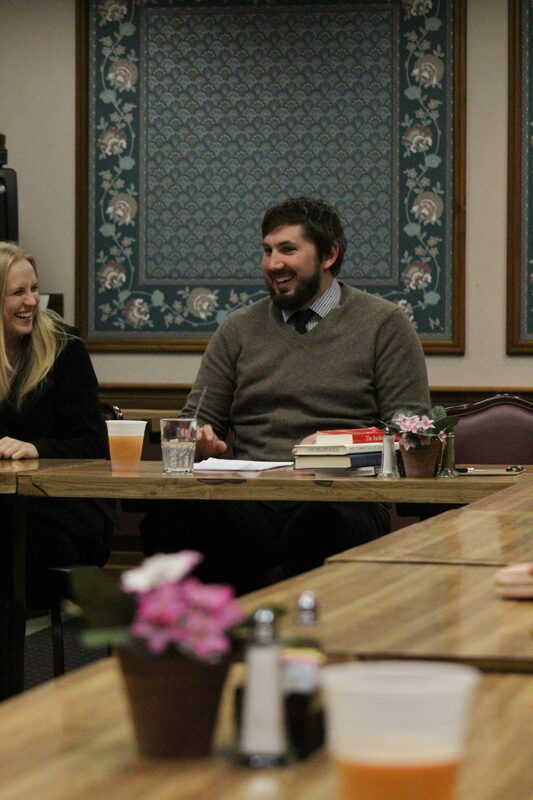 The final Theology on Tap of the semester will be held at Froehlich’s Classic Corner on April 25 at 7 p.m.